If you have braces, you may disappointed to learn that there are some foods that can be particularly bad for your teeth. But if you’ve been through an orthodontic assessment and been given braces for dental alignment, it means you and your dentist are both committed to improving your smile. So the last thing you want to do is sabotage all that hard work for a few seconds of eating pleasure. 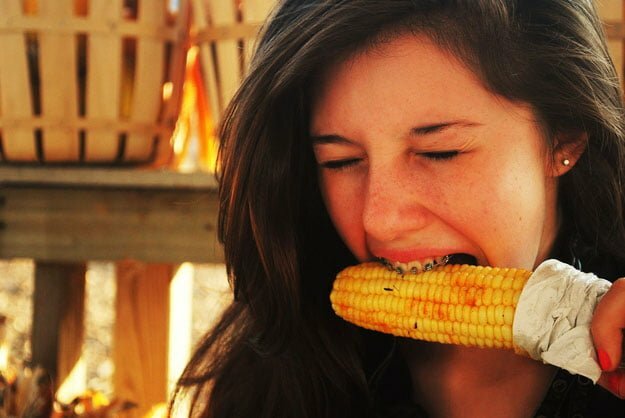 In this post, we will take a look at a few foods you should avoid when wearing braces. The Australian Society of Orthodontists has a list of what it calls ‘red light’ foods that brace wearers need to avoid. These fall into three types: hard, sticky and sugary. The harder the substance is, the more likely it is to damage a bracket or wire, which means things like toffee, hard biscuits, ice cubes and crunchy bread are off limits to people with braces. Sticky foods like chewy lollies can also get lodged between teeth and brackets. The biggest culprit would have to be hard toffee – it has the big three covered, and chances are that little bits of toffee are going to get caught between your braces and your teeth or gums, increasing the risk of tooth decay. Of course, if chocolate pudding, ice-cream or trifle are must-haves for your sweet tooth, the news isn’t all bad. These are all soft and not sticky, but they are sugary – so eat in moderation and don’t forget to brush correctly after eating them. Some foods have risks attached to them for brace wearers, but with care the risks can be avoided. Take meat, for example. If you are offered a lamb chop or a piece of rib eye, go for the steak. That’s because the chop has a bone in it that could damage your braces. Cut the steak into manageable pieces, too – that way you’ll spend less time chewing. Speaking of chewing: raw vegetables and fruit, like carrots and apples, are great for your health but they can be hard to bite on. Choose softer options like steamed vegetables and bananas. Turkey and ham are ‘good’ meats for braces since they are inherently soft. Seafood is also great for brace wearers – prawns and fish, especially sashimi, lack the chewy sinews of beef. Cheese lovers can also breathe a sigh of relief; but be careful with nuts as some are harder than others. When you’re eating pastries and bread make sure you choose the softer options, and when you eat full-grain breads be sure to get rid of seeds or grains that get trapped in your braces. With a little care, you can enjoy your meals just as much as everyone else. You’ll even become used to ‘abstaining’ from certain foods after a while. So if you are thinking about braces, and you’re looking for an orthodontist in Ryde, make an appointment with us here at Marsfield Dental Care. We’ll be able to give you the best options for improving your smile!